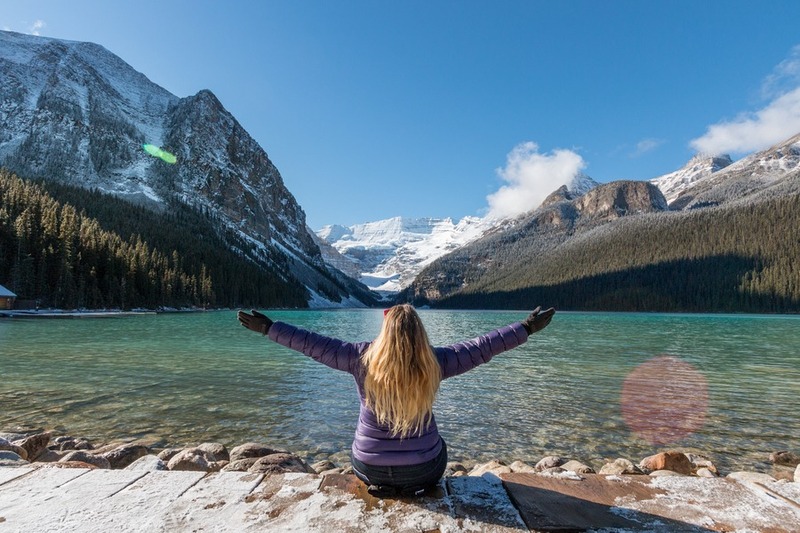 The 232km (144 mile) Icefields Parkway (Highway 93 North) in Alberta, Canada links Lake Louise near Banff to Jasper and is rated as one of the top drives in the world by Conde Nast Traveller. You can do the whole drive, end to end, within 3 hours. But you really don’t want to. Divide and conquer. We first explored the north end while staying in Jasper, and then the south end during our stay in Lake Louise. 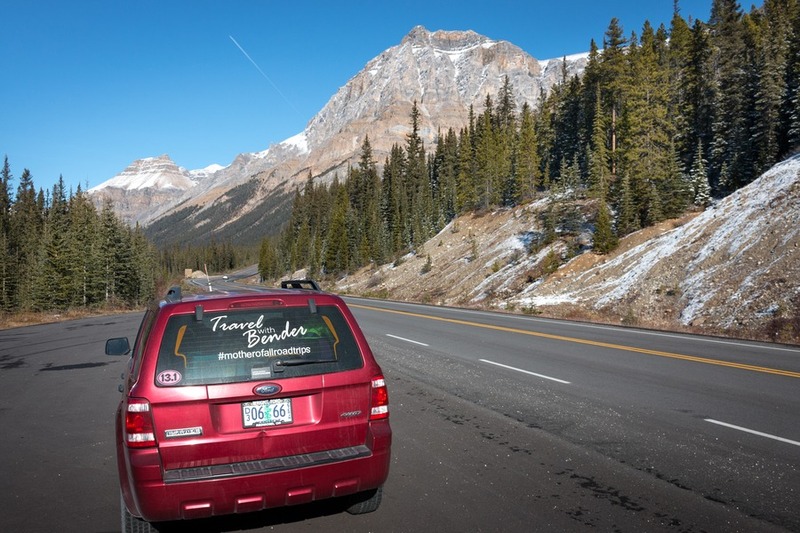 You will need a Canadian national parks permit to travel along the highway. Keep in mind the speed limit is 90km/h (56 mph) and from 1 October to 31 March all season tires or winter tyres/chains are compulsory. July and August attracts around 100,000 vehicles per month. We went mid-October and there was far less traffic and, if possible, it was made even more beautiful by the smattering of white, clean snow on the ground. More than just the scenery, what crowns a beautiful drive amongst the world’s best? The stops along the way. 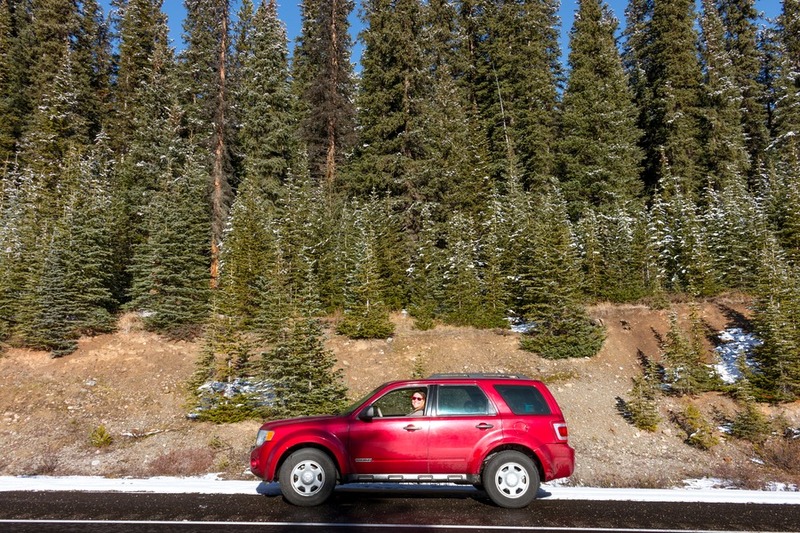 We teamed up with Expedia.com to share the 9 best stops along the Icefields Parkway - the most scenic drive on earth. 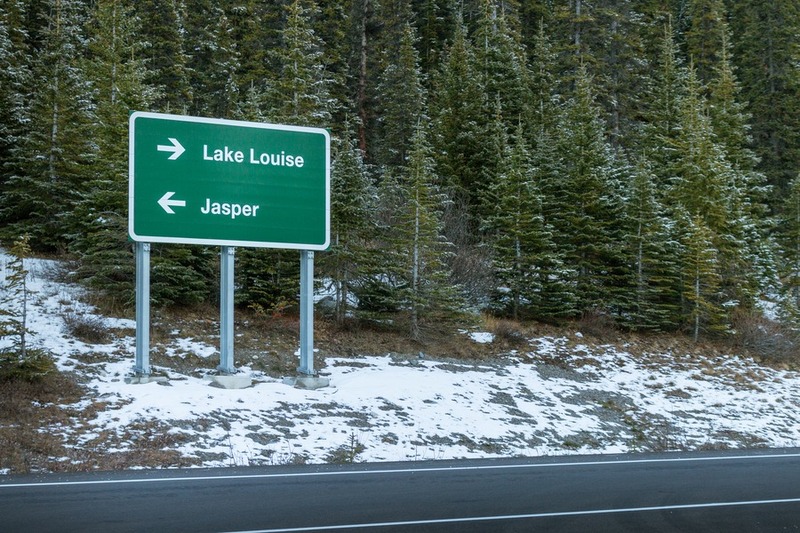 It’s an easy drive from Jasper to the largest icefield in the Rocky Mountains. Covering 325 square kilometres (125 sq mi) in area, the average ice depth of Columbia Icefield is 100 to 365 metres (330 to 1,198 feet). 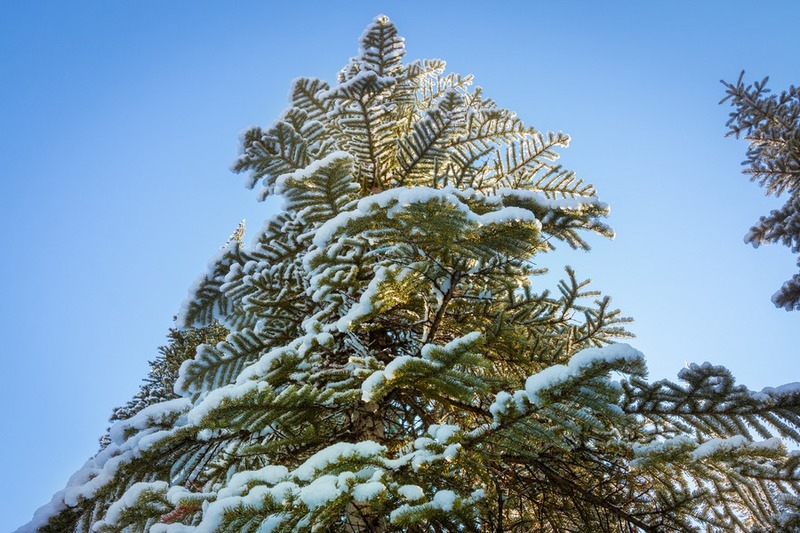 Plus it receives up to 7 metres (280 in) of snowfall per year. And what we could see from the Athabasca Glacier made up only 2% of the entire icefield – it’s huge! Another fascinating fact is this ice field feeds 3 different oceans – Arctic, North Atlantic and Pacific. 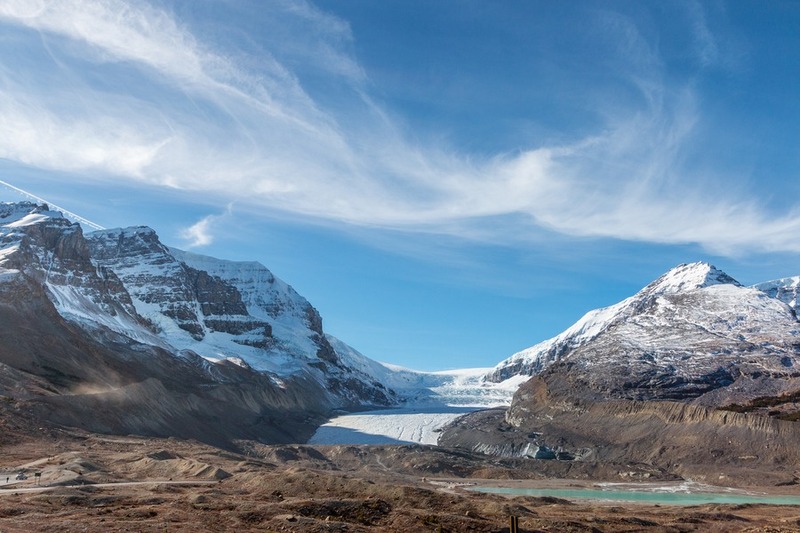 Park your car at the Columbia Icefield Glacier Discovery Centre and take a tank-like bus to the Athabasca Glacier for an 80-minute tour. Once we disembarked on the glacier we were given 20 minutes free time to walk around. There are only 23 of these unique vehicles in the world, and 22 of them can be found here (the other one is owned by the US government and used in Antarctica). 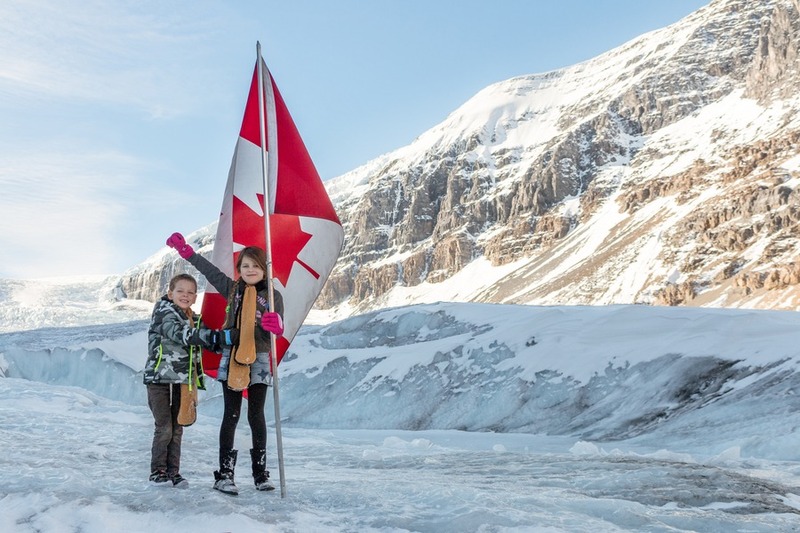 The Athabasca Glacier has lost 60% of its volume in the last 170 years, and experts believe it will be completely gone within 70 years. So make sure you see it while you still can. 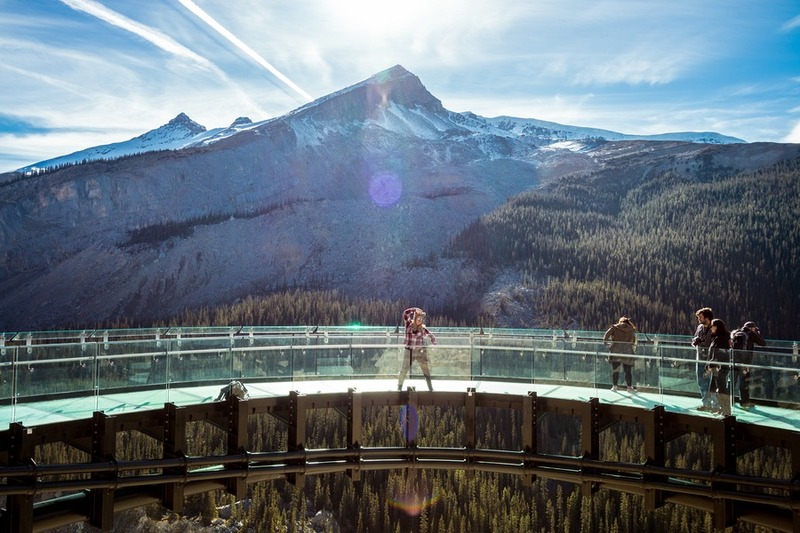 Follow up the Athabasca Glacier tour with a journey onto a glass-bottom lookout platform, perched 279 metres (918 feet) above the canyon below. An array of signage along the path provides insight into the local ecosystem – from birds to bears. And visitors also receive complimentary audio guide. Tickets and transport is also organised from Columbia Icefield Glacier Discovery Centre. Very close to the highway and only a short distance from Jasper is one of the most beautiful waterfalls along Icefields Parkway. It’s a Class 5 waterfall, with a drop of 24 metres (80 feet) and a width of 18 metres (60 feet). Take your time here to walk around the trails. The access road is closed November to April, however you could pull over on the highway and access the falls by foot. This Class 6 waterfall has a drop of about 18.5 metres (61 feet) and width of 9.1 metres (30 feet), and consists of an upper and lower fall. If you are not up for the hike, the upper falls is easily accessible from the carpark. And a rough path along the northern edge of the fall lets you get close enough to feel the mist. A small multi-tiered cascade, located close to the Columbia Icefield Glacier Discovery Centre. This one is literally steps away from the highway, with a small parking lot on the opposite side of the highway if you want to take a closer look. Impossibly scenic and engagingly gorgeous. Lefroy Glacier melts into a broad, mirror-smooth, turquoise lake. 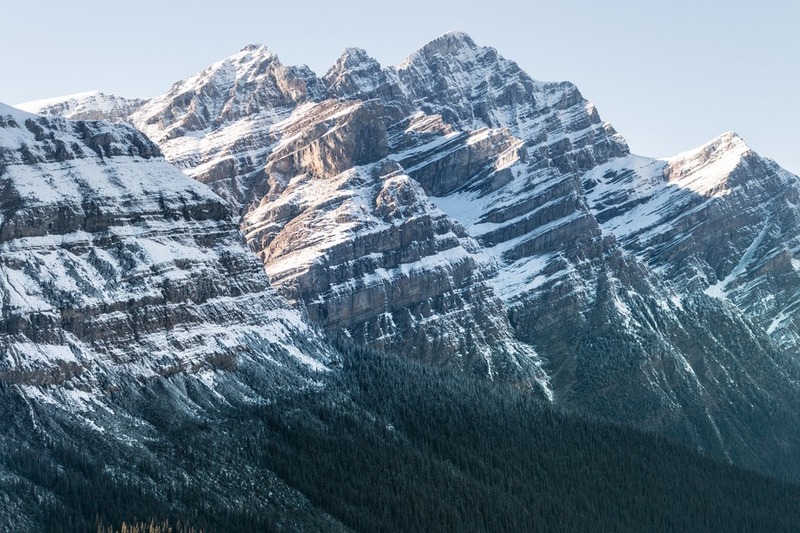 Steep snow-peaked mountains hug the lake like a protective lover. 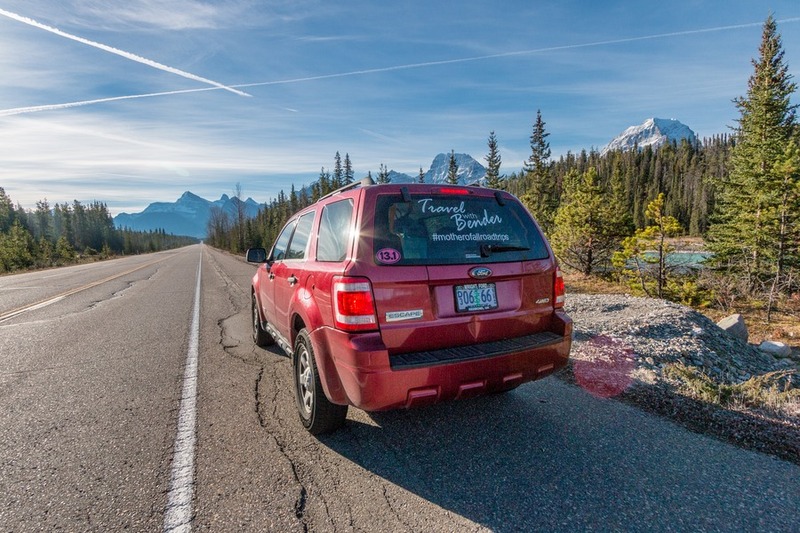 Definitely the most romantic lake along the Icefields Parkway… as voted by us. When we visited in late-October ice had started accumulating around the shoreline. White icy forests lined the lake’s edges and created a tranquil alpine experience I’ll never forget. About 32km (20 miles) northwest of Lake Louise you can view this glacier right from the highway. Snowmelt feeds the Bow River which runs alongside the scenic drive. And quite appropriately, crows were scouting the carpark looking for food. One of the smaller lakes in western Alberta, but positioned at an altitude of 1,920 metres (6,299 feet). Bow Lake is the closest lake to the headwaters of Bow River, and covers an area of 3.21 km² (1.24 sq mi). This was easily the most spectacular lake on the whole drive. In the late afternoon, as the sun lowered behind the mountains west of the lake, the water took on a surreal blue hue. I just sat dumfounded on the shoreline, speechless at the indescribable beauty. Reaching Bow Summit, overlooking Peyto Lake, required a 10-minute hike through beautiful Narnia-like forest. We were well rewarded for our efforts. 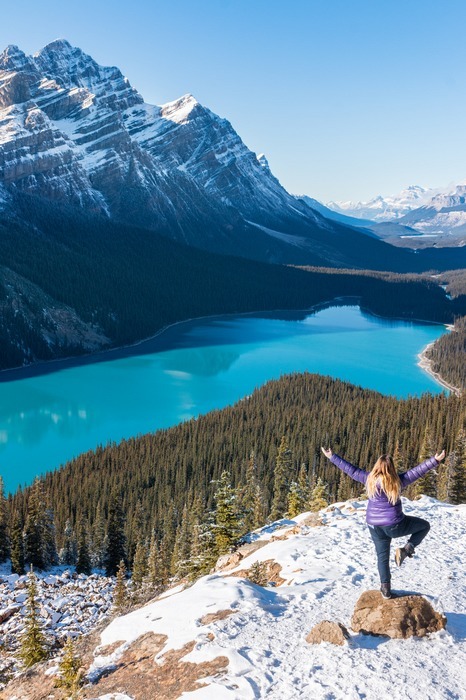 Peyto Lake is a glacier-fed lake in the valley of the Waputik Range between Caldron Peak and Peyto Peak at an elevation of 1,860 metres (6,102 feet). Heading back to the car, along the slippery snowy pathway was trickier than expected. 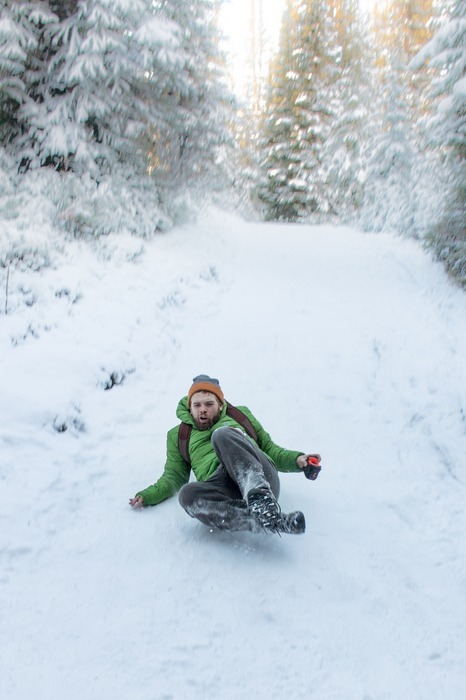 Or at the very least, made for one awesome slip-n-slide. 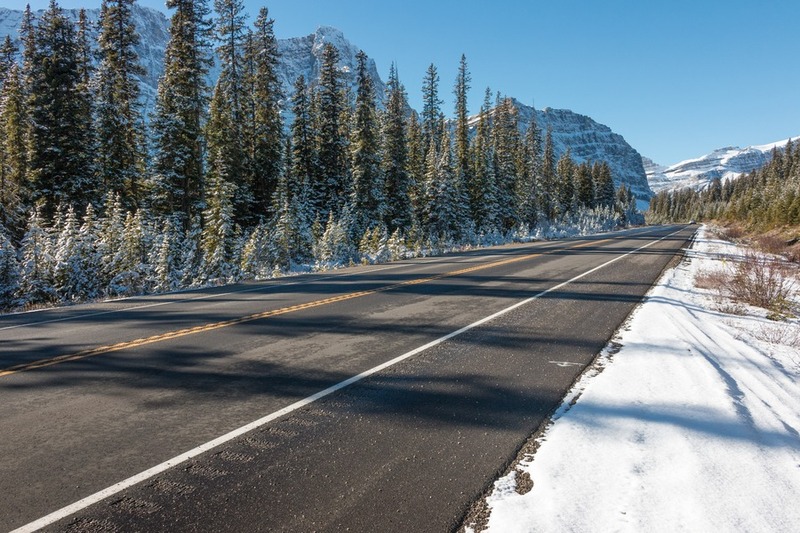 There are still more places to stop along the Icefields Parkway – some of these are seasonal. Unfortunately we missed Moraine Lake (south of Lake Louise) as the access road was closed for winter (Sept – May). And if you go as far as Canmore, check out Grassi Lakes on the east end of town. When you take your time to stop and explore this beautiful region, you’ll be bound to find even more gorgeous spots which just confirms this as one of the most scenic drives in the world. Would you add any locations to this list? Share your comments below. Stunning photos. The snow definitely enhances the scenery if you're willing to brave the cold! This is on our travel short list for next year for sure. We love this drive and it's a "must do" with anyone who comes to visit us. We camp close in the summer and do the drive sometimes as a long day trip....you never get tired of it! Beautiful pics! This is fantastic..Have visited all these places twice, once in summer of 2013 and once in winter 2012. 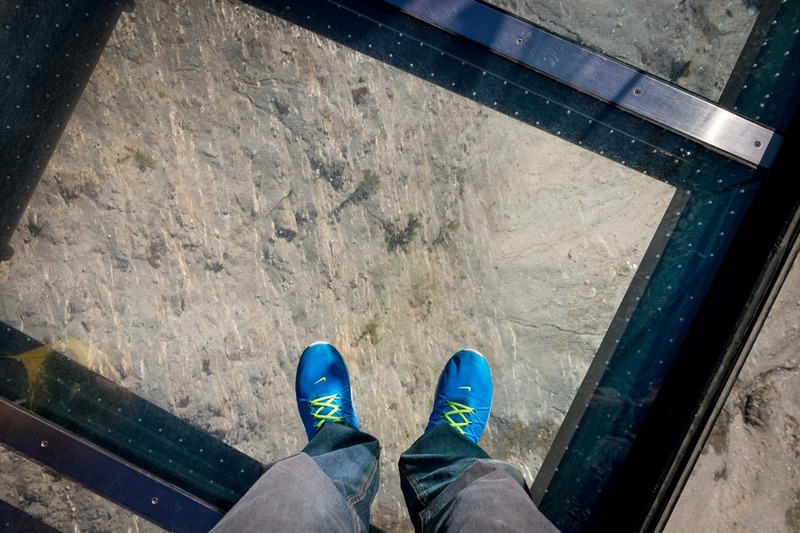 The Glacier walk must be awesome. It was under construction when we went. Stunning photos. The snow definitely enhances the scenery if you're willing to brave the cold! This is on our travel short list for next year for sure. Amazing places in this post we are seeing. I love these type of places extremely. Stunning photos. May I ask what time of the year did you visit? We visited this summer, July, and it was a breath taking experience. Thank you so much for this post; we're planning our October trip at the moment and this is so useful!